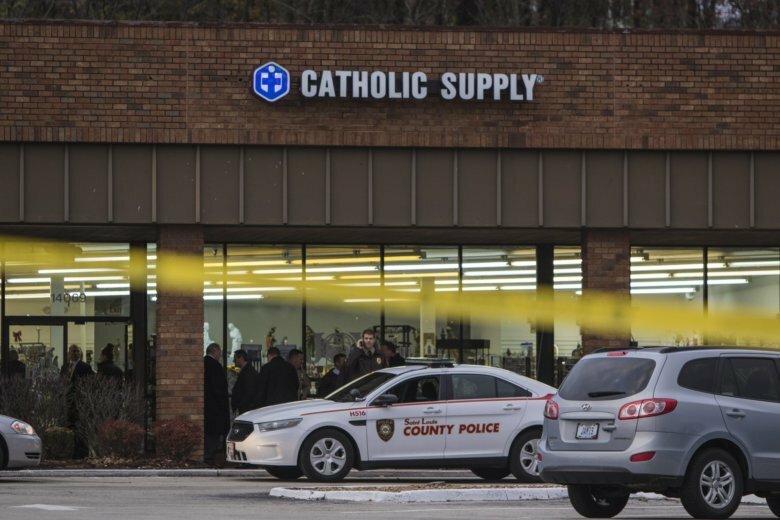 ST. LOUIS (AP) — A man was charged Wednesday with killing one woman and sexually assaulting two others after herding them at gunpoint into the back room of a suburban St. Louis religious supplies shop. The arrest of 53-year-old Thomas Bruce, of Imperial, ended a two-day manhunt that followed the brazen Monday afternoon attack at a Catholic Supply store in another St. Louis suburb, Ballwin. The attack frightened the region and led some schools, churches and businesses to close.